A MIDDLE-aged, jolly, dashing soldier of fortune came to America in 1777 and offered his services to the patriot army. He brought along with him no great military skill, but a most amazing capacity for making trouble. The soldier was Thomas Conway, a British subject, who had lived since early childhood in France. There he had joined the army and risen to a colonelcy. when he came here he was joyfully received. 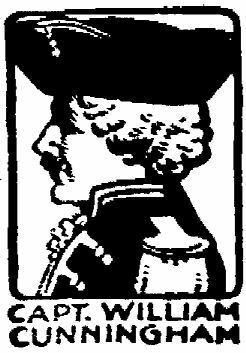 The Revolutionists lacked expert officers and they made him a brigadier-general. The man’s boasts and his dashing ways impressed the simpler statesmen. But George Washington read him at a glance, for a windy, vicious incompetent. So when congress decided a little later to make Conway a major general the chief sternly opposed such a promotion and gave his reasons for doing so. From that moment Conway was Washington’s sworn foe. One active mischief-maker can sometimes work more harm than a dozen wise men can undo. Conway at once joined Washington’s opponents in congress and the army, and started a campaign for the chief’s overthrow. He and his associates formed what was known as the “Conway Cabal,” and did all in their power to undermine Washington’s influence. In a series of anonymous letters Conway ridiculed the chief as a coward and as too feeble of mind as a leader. He suggested Gen. Horatio Gates as commander-in-chief in Washington’s place. Not only did Conway and his friends win Gates over to this scheme, but they induced several prominent congressmen to lend their influence to the movement. It was the Revolution’s dark hour. New York and Philadelphia were in the hands of the British. 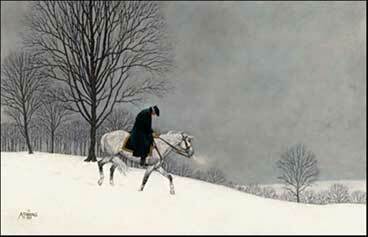 Washington and his army were starving and freezing at Valley Forge after a summer and autumn of repeated defeats. Men’s hearts grew faint and their allegiance weakened. Conway’s crafty words at such a moment fell on ready ears. 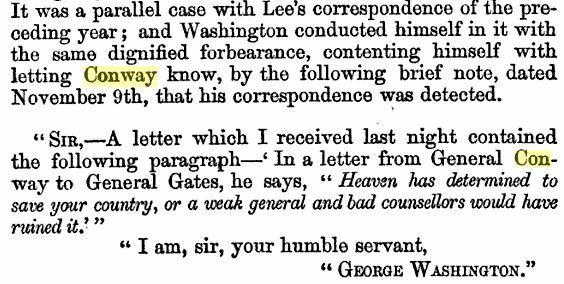 Gates’ aid, Wilkinson, drank too much one night and babbled to a friend of the chief some of the contents of a letter from Conway to Gates in which Conway had spoken insultingly of Washington. The story was told to Washington, who called Conway to account. Conway rushed to Gates for aid, and Gates tried to get out of the difficulty by branding Wilkinson as a liar. Wilkinson promptly challenged Gates to a duel. Gates wept on Wilkinson’s shoulder and implored him to withdraw the challenge, speaking of himself as a feeble old man who loved Wilkinson like a father. In this way the frightened old general wriggled out of fighting. Meantime, thanks to the first hint, Washington learned of all Conway’s anonymous letters and other treacheries. The facts were made known to the people. The cabal was crushed under a storm of public disapproval. But Conway was not to escape so easily. He was challenged to a duel by Washington’s friend, Gen. Cadwallader, who proceeded to shoot him through the mouth. Conway, believing himself dying, wrote one more letter. This time to Washington, asking forgiveness for his villainies and declaring the chief to be a “great and good man.” Then he “conditionally” resigned his commission as an officer in the American service. Congress accepted the resignation, unconditionally, and Conway went back to France. 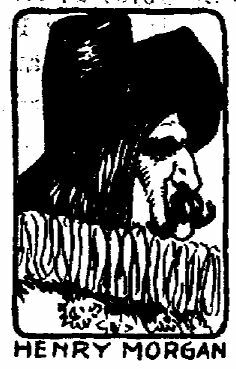 There he styled himself “Count de Conway,” and managed to win an appointment as governor of one of France’s Oriental provinces. He made such a mess of his diplomatic work in his province of the Orient that he almost wrecked the French interests there. He returned to France and became a general in the royal armies. During the French Revolution he was condemned to death. He was saved only by an appeal to Great Britain (against which he had fought in the American Revolution), but was compelled to flee from France for his life. After that Conway disappeared from history. He is supposed to have died about 1800 in poverty and exile. 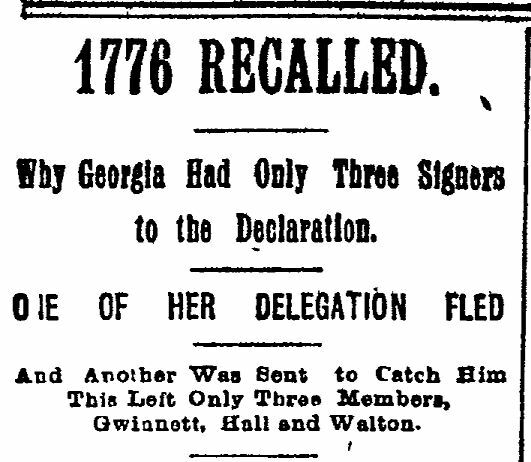 Most historians agree that the so-called “Conway Cabal” was not an organized effort to replace Washington with Gen. Horatio Gates, the victor of Saratoga or some other general. But there were some in the Army who felt they were better qualified than the Virginian and several politicians were critical of his performance. 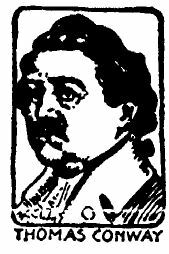 The so-called “cabal” was a lot of mutterings and niggling criticism that finally broke out in the open with the help of an arrogant Irish-born, French-reared soldier of fortune, Thomas Conway. He was recruited in France by Silas Deane and was granted the rank of brigadier general. Washington and many other American officers took an immediate dislike to the boastful Conway. Read more at the Lux Libertas link above. A COUNTRY boy, son of a Welsh farmer, was wandering about the docks of Bristol, England, staring at the odd waterfront sights, when he was kidnapped and carried aboard a ship bound for the West Indies. He was taken to Barbadoes and there sold to a planter as a slave. 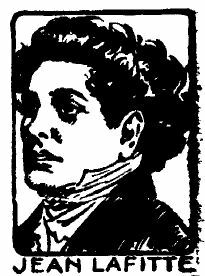 The boy was Henry Morgan. He began his career as a penniless, ill-treated servant. By sheer villainy he rose to wealth and rank. Some writers say he ended his life in misery. Central America and much of the neighboring territory were under Spanish rule. Greedy governors and heartless soldiers wrung vast treasure from the Indians and in other ways amassed untold fortunes for themselves and for Spain. Galleons would come from Europe with provisions, clothing, etc., and go home laden with precious metals and gems. Of course, these treasure ships attracted pirates as sugar attracts flies. And the Spanish Government kept powerful fortresses and warships in the New World to protect their wealth. The clash between Spain and the buccaneers was everlasting. The word “buccaneer” means “a drier of beef.” The buccaneers used to make a living by butchering and selling wild cattle, until the local Spaniards made life unpleasant for them. Then they took to the sea and proceded to revenge themselves upon their tormentors by looting every treasure they could lay hands on. They were not, at first, common pirates, though “pirate” and “buccaneer” came afterward to mean much the same thing. Morgan, escaping from slavery, fled to the island of Jamaica. There he joined a crew of buccaneers. By genius and cruel cunning he quickly became their captain. Then he joined his crew to that of a powerful buccaneer who called himself “Admiral” Mansfield. Mansfield soon afterward was killed; and Morgan was at the head of all the neighboring freebooters. His real life-work had begun. He persuaded some of his companions not to throw away every penny of their gains on drink, gambling and finery, as had been their custom, but to save it for the expenses of a great expedition. Thus he quickly found himself in charge of the largest, strongest pirate fleet ever seen in the Spanish Main. 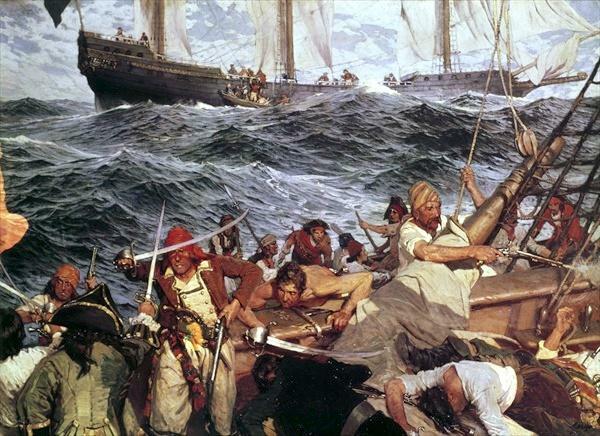 The Spaniards had grown overcautious about risking their treasure ships in such dangerous waters. So Morgan decided to attack them by land. He swooped down on one rich fortified town after another, destroying its defenders or holding them for heavy ransom and seizing their treasure. In this way he soon became very rich. Panama was the foremost treasure city in Spain’s New World possessions. It was strongly fortified and lay far off the pirates’ track. To reach it miles of poisonous jungle and Indian-infested forests must be passed. The place was deemed safe and there many millions of dollars’ worth of gold and jewels were kept. The hope of such wondrous plunder was enough to make Morgan try to do what every one had declared impossible. He turned from ravaging Cuba and the American mainland, and on Jan. 9, 1670, set out on the terrible river-and-jungle trip to Panama. The Spaniards had word of his coming. All food supplies were removed from the route. The forests were alive with hostile savages. The hardy buccaneers endured daily starvation, fever and battle, but pushed on fearlessly until they came before the walls of the treasure city, Panama. There they thrashed a Spanish and Indian force more than three times the size of their own and rushed into the city. The mass of treasure was seized, the town burned to the ground and hundreds of captives held for ransom. Each buccaneer received only about $200 worth of plunder. Morgan kept the bulk of the hoard for himself. As a feat of daring and of military genius, Morgan’s dash to Panama excited the wonder of the world. 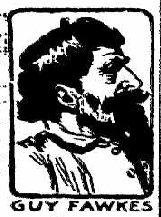 Morgan, however, was summoned to England to give account of his crimes. He went without fear. For, on England’s throne sat King Charles II — as great a blackguard as Morgan himself. 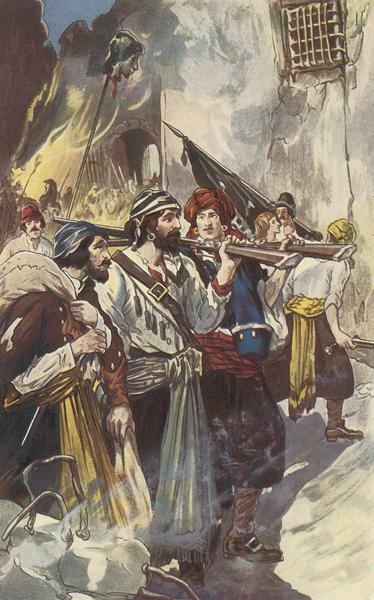 The pirate chief arrived in London, had a private interview with the King, and, it is said, slipped a goodly share of his Panama winnings into the royal pocket. Thereupon, instead of being punished, he was made a knight and was sent back to the West Indies as Lieutenant-Governor of Jamaica and commander-in-chief of the British forces there. 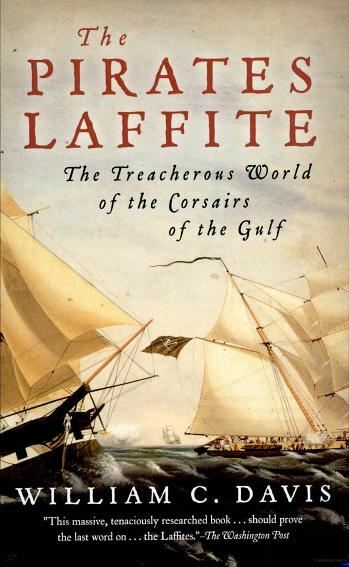 He married and lived a life of luxurious ease, sternly condemning to death those of his old comrades who were brought before him on piracy charges, and playing the rich aristocrat to perfection. He died in 1668 at the age of fifty-three. So runs an old letter written in New York during the darkest days of the American Revolution. The British had captured New York and Philadelphia. To both cities — but chiefly to New York — they brought thousands of patriot soldiers, captured in battle, and many non-combatants who had risked freedom and life to help the cause of liberty by money, gifts or by patriotic speeches. These unlucky captives were not treated like prisoners of war. They were housed and fed — or, rather, starved — in a way the law nowadays would not permit for cattle or swine. 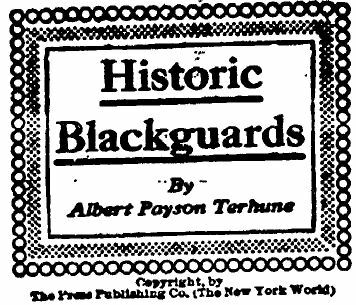 And the man in charge of them was a blackguard whose own countrymen loathed him, William Cunningham. Cunningham was the son of British dragoon and was born in the regimental barracks at Dublin. In 1774 he came to America and settled in New York, where he made a living for some time by “breaking” colts and by giving riding lessons. When the Revolution broke out, in 1775, he became involved in a political row with some local patriots and was forced to flee to Boston, there to seek the protection of the British army. His noisy loyalty to King George III, got him into trouble there and attracted the notice of Thomas Gage, the English general. Gage appointed him provost marshal to the royal army. His chance for “revenge” had come. Cunningham was sent back to New York and was put in charge of the Revolutionary prisoners there and in Philadelphia. There were several impromptu prisons in New York where the patriot captives were lodged. 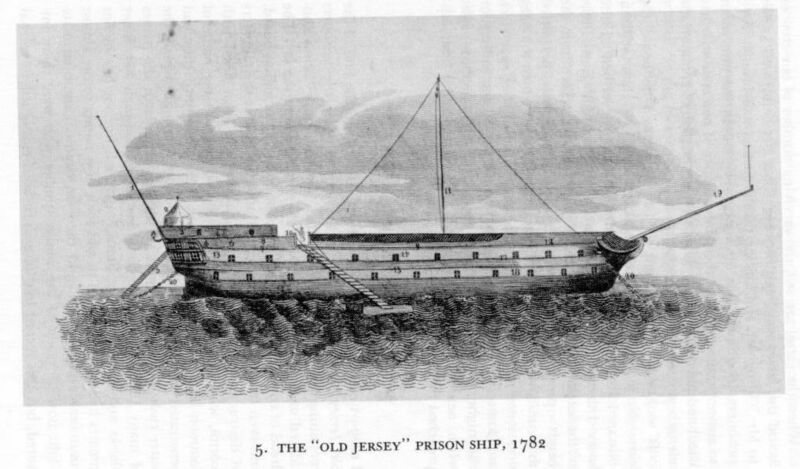 One was the city hall, another the famous old “Sugar House,” another, King’s (now Columbia) college; another the “new gaol” (the old hall of records in City Hall park, torn down only a few years ago) and — worst of all — the “prison ship ‘Jersey,'” moored on the Brooklyn shore. Churches were also turned into jails. In the prison ship the captives were herded by hundreds in dark, foul pens, destitute of pure air and sunlight. They were given such food as a dog might well scorn, and in such tiny quantities as would not suffice to keep a dog alive. The water they drank was filthy. No medical care or chance for cleanliness or exercise was granted them. Prison fever and other maladies scourged their ranks. They died like so many flies. To such fearful condition were they reduced that the lowest city outcasts were touched by pity and secretly sent them food. Cunningham went back to England after the war and took to riotous living. Being short of money to squander on dissipation, he forged a draft. For this crime he was tried, condemned, and, on August 10, 1791, was hanged. He is said to have been responsible for the shameful death of nearly 2,500 American patriots. Nor could mere hatred for the colonists account for this wholesale slaughter, since he dishonestly sold for his own profit the provisions allotted to them. GEN. WASHINGTON and his staff thundered up, through the broiling summer heat, to the stricken battlefield of Monmouth. News had reached the commander-in-chief that his trusted leader, Gen. Chas. Lee, had disobeyed orders and that as a result, the American army was retreating. Washington took in the situation at a glance. The patriots were falling back. The British were everywhere successful. His blue eyes ablaze with anger, the chief galloped across to Lee. At this retort the last barriers of Washington’s patience gave way. He hurled at Lee a public reprimand that the latter never forgot nor forgave. It was a case of a just man’s wrath at a blackguard’s misdeeds. Charles Lee was born in England in 1731. He joined the British army as a mere child. At the age of eleven he was a commissioned officer. He fought in America during the French and Indian war and rose fast in rank to a lieutenant-colonelcy. But he had a sarcastic tongue and an ungovernable temper. He criticised his superior officers and made fun of their weaknesses. This sort of thing does not help a man on in any walk of life. It led at last to Lee’s practical dismissal from the army. 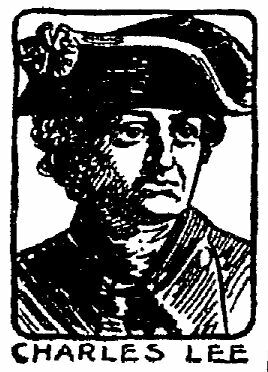 He drifted to Poland and Russia, where, serving as a soldier of fortune, he received the rank of major-general. He also won doubtful fame as a ferocious duelist. Leaving Russia, Lee made his way to America a short time before the Revolution. He hated England and he loved intrigue. So he plunged into the stirring politics of the day, siding with the patriots. The Revolutionary army was short of experienced officers and was delighted to accept the services of so noted a soldier as Lee. He was offered the rank of second major-general under General Washington. He bargained shrewdly with congress before accepting this honor, declaring that King George’s government would surely confiscate his British estates, and demanding to be paid for them. Congress agreed to give him $30,000 out of the impoverished patriot treasury as recompense for this possible loss. Then came the battle of Monmouth. The English, under Clinton, in June, 1778, evacuated Philadelphia and retreated across New Jersey to the British headquarters at New York. Washington resolved to smash part of the British army at Monmouth, N.J., on its march. Lee begged him not to make the attempt, but Washington sent him with an advance guard of 6,000 men to overtake the enemy. Lee caught up with the British at Monmouth on June 28, 1778, and began the battle in so strange and incompetent a way that Lafayette, in alarm, sent a secret message begging Washington to hurry to the front. Washington arrived in time to meet Lee in full retreat. He rebuked the traitor, rallied the army and saved the day. No one could understand Lee’s odd behavior, for no one then knew he was false. In rage at the rebuke, he wrote two insulting letters to Washington, who promptly ordered him arrested. A court-martial suspended him from active service for a year. In rage, he retired to a mountain hut, where, for months, he lived like a hermit. As his year of suspension drew to an end, Lee wrote an abusive letter to congress, and was at once dismissed from the army. He went to live on an estate he had bought in the Shenandoah Valley. 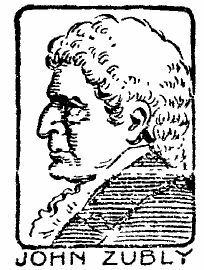 In 1782 he visited Philadelphia, where he fell ill and died. Lies Robert, Earle of Huntingdone. Hee robb’d the rich to feed the poore. SO RUNS an old rhyme. The man about whom it was written undoubtedly lived and was known from one end of England to the other. But whether half the stories told about him is true is quite another matter. It is hard in writing of Robin Hood to sift fact from legend. This story can but tell the popular version of his career without vouching for its entire truth. 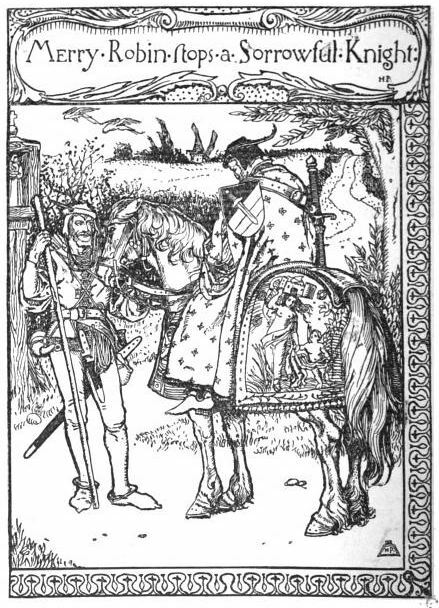 Robin Hood is said to have been born in 1160, and to have been a nobleman’s son who, through injustice, was outlawed. He took refuge in Sherwood forest, in Nottinghamshire, England. There he gathered about him a band of men as deperate as himself, and prepared to make war on the world at large. It was a rude, violent age. Human life was held lightly. Laws were barbarous. For shooting deer in the royal forests the penalty was torture and (for the second offense) death. The barons and other rich and powerful men could overtax and ill-use the poor almost without restraint. Persons who suffered under such tyranny had usually no redress. Often they revenged themselves by plundering their former masters and by preying on humanity at large. Says one old historian (Stow). Robin and his band dwelt in the greenwood, patrolling the highroads and holding up rich travelers. Especially did they enjoy capturing dishonest money lenders and cruel landlords. Robin’s favorite method with such prisoners was to conduct them to his secret glade and there regale them with a feast. (The food consisted largely of stolen deer and dainties filched from noblemen’s larders.) After the meal he would suggest that they pay for their entertainment by giving him all their money and jewels. At other times he would go, disguised, to some town, make friends with a local rich man and under some pretext lure him to the forest. That Robin did not steal from the poor was not an especially noble trait. The poor had nothing worth stealing. Moreover, by helping the peasants with a little money now and then he made them his friends and gave them an interest in warning him against his pursuers. Robin and his men were splendid archers. Their skill with bow and arrow reached the king’s ears. His majesty is said to have been so much pleased with the band’s archery that he pardoned them all. But Robin could not long remain out of trouble. He fell foul of the law once more, and the sheriff of Nottingham was sent to crush him. In the woodland battle that followed the sheriff’s men were beaten off. Soon afterward Robin fell dangerously ill. There was no surgeon nearby. So his men carried him to a convent, where his cousin was a lay sister. She had great repute in medicine and Robin though she might save him. She dared not refure shelter to the sick man for fear of his followers’ wrath. But she dared not cure him, lest the king should hear that the convent had harbored and aided an outlaw. So, according to the story, she opened a vein in his arm and left him to bleed to death. When the dying man learned of her treachery he set his bugle to his lips and blew a feeble blast. Little John, his lieutenant, heard it, and rushed to the sick room. Robin, so runs the old ballad, forbade Little John to take vengeance on the convent. Then, setting arrow to bow for the last time, he sent the shaft whizzing out through an open window and begged to be buried at the spot where his arrow should strike earth. A likeable, rollicking, sentimental outlaw. His life story (even stripped of all legend and folklore) seems to entitle him to a goodly place among Historic Blackguards.